We Need Gift Cards For Mad Rock’s 2018 “Knight Before Christmas” Toy & Clothing Donation Drive Families!!! ALL OF OUR FAMILIES ARE ADOPTED!!!! THANK YOU!!! BUT THERE’S STILL A WAY FOR YOU TO HELP!!! Your generosity is inspiring – so let’s keep it going. We’re now asking the Mad Rock Nation to donate gift cards (or cash for us to purchase gift cards) for all of the “Knight Before Christmas” families. We want to give these families MORE than they asked for, MORE than they expect and MORE to help them improve their situation – you know – a TRUE Christmas Miracle! 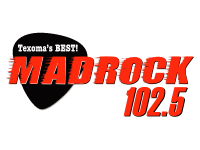 You can drop off the gift cards (or cash) at the Mad Rock studios in Sherman between now & 5pm on Friday, December 14th or during our FINAL “Knight Before Christmas” LIVE broadcast at Knight Furniture in Downtown Sherman from 10am-2pm on Saturday, December 15th. 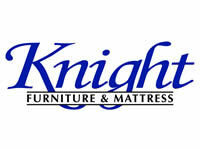 Also, don’t forget that if you buy something from Knight Furniture in Downtown Sherman or Hwy 82 East in Gainesville between now and December 15th, a portion of the sale will go to help the “Knight Before Christmas” families. You just have to mention it when you make your purchase. We have far too many families in our area who need a big dose of Holiday generosity to have a Merry Christmas! That’s why Mad Rock 102.5 and our friends at Knight Furniture team up every year for our annual “Knight Before Christmas” Toy & Clothing Donation Drive. There are a total of 13 families included in the 2018 “Knight Before Christmas” project. Whether you want to provide one toy or piece of clothing for one child or want to adopt an entire family – all donations are greatly appreciated! Bring your toy or cash donations to one of Big Dave’s “Knight Before Christmas” LIVE broadcasts at Knight Furniture in Downtown Sherman. The first broadcast is Saturday, November 24th from Noon-2pm and the second is on Saturday, December 15th (10am-2pm). Candy Cane Family – ADOPTED BY THE KENT FAMILY! Holly Family – ADOPTED BY THE MARNEY FAMILY! Ivy Family – ADOPTED BY BIG DAVE’S FAMILY! Jingle Family – ADOPTED BY THE RENFRO FAMILY! Jolly Family – ADOPTED BY THE LYTLE FAMILY! Mistletoe Family – ADOPTED BY THE LYTLE FAMILY! Noel Family – ADOPTED BY THE LYTLE FAMILY! Rudolph Family – ADOPTED BY THE FIRTOS FAMILY! Sparkle Family – ADOPTED BY THE LYTLE FAMILY! St. Nick Family – ADOPTED BY THE COLWELL FAMILY! Thanks, in advance, for your Holiday generosity! Merry Christmas from Mad Rock 102.5 & Knight Furniture! Santa Family – ADOPTED – 2018 Mad Rock “Knight Before Christmas” Toy & Clothing Donation Drive! Reindeer Family – ADOPTED – 2018 Mad Rock “Knight Before Christmas” Toy & Clothing Donation Drive! Snowflake Family – ADOPTED – 2018 Mad Rock “Knight Before Christmas” Toy & Clothing Donation Drive! Candy Cane Family – ADOPTED – 2018 Mad Rock “Knight Before Christmas” Toy & Clothing Donation Drive! Holly Family – ADOPTED – 2018 Mad Rock “Knight Before Christmas” Toy & Clothing Donation Drive! Ivy Family – ADOPTED – 2018 Mad Rock “Knight Before Christmas” Toy & Clothing Donation Drive!